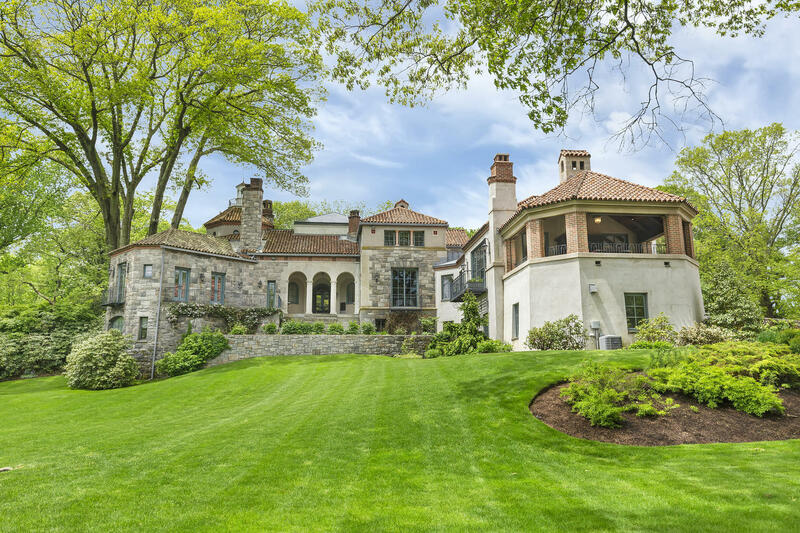 227 Old Kings Highway S, Darien, CT, Connecticut 06820. 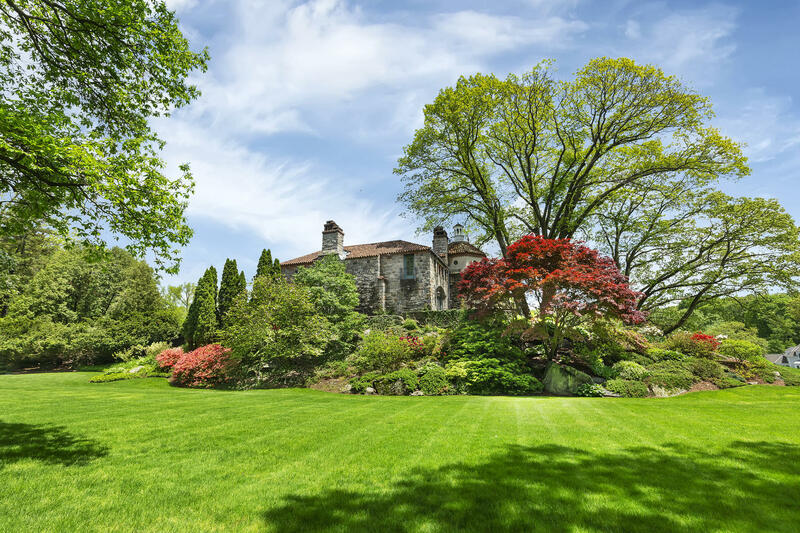 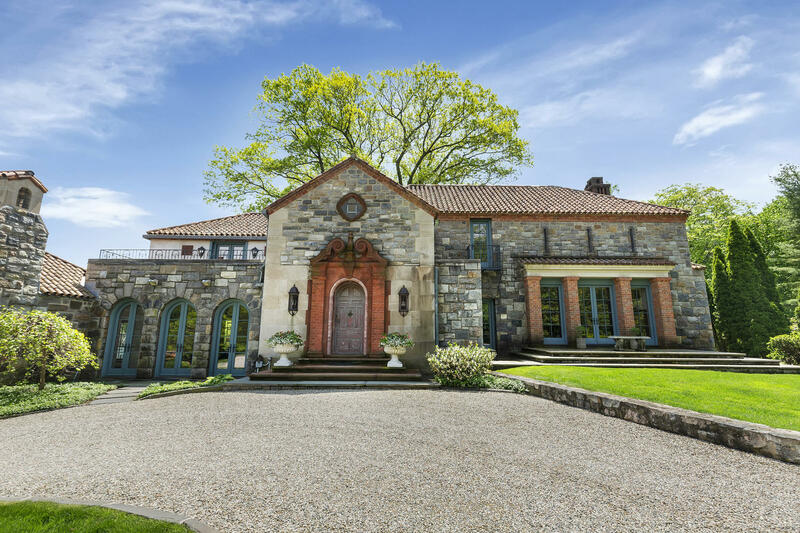 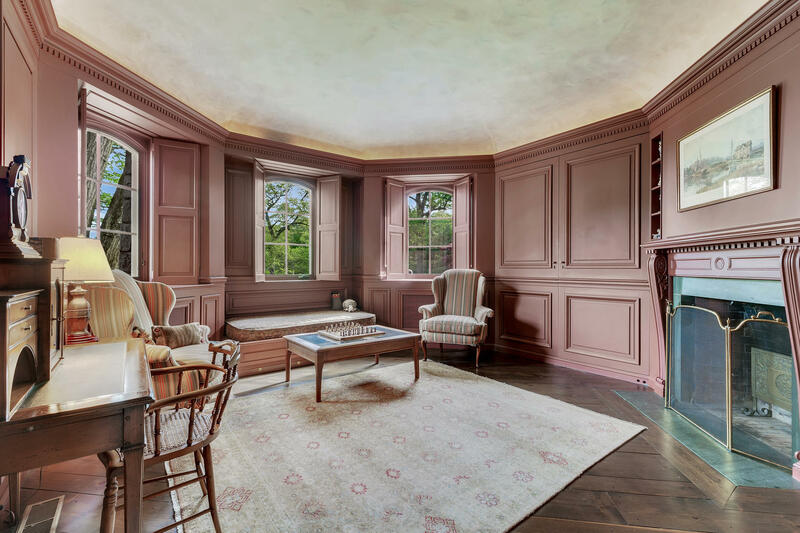 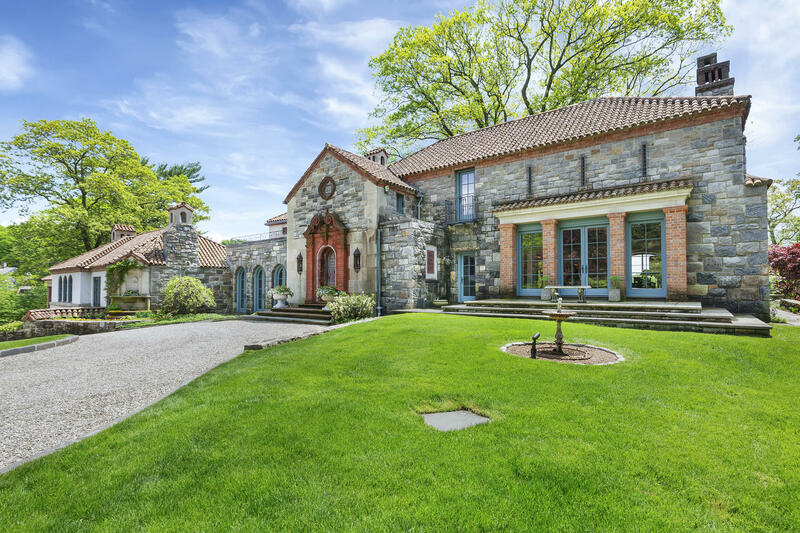 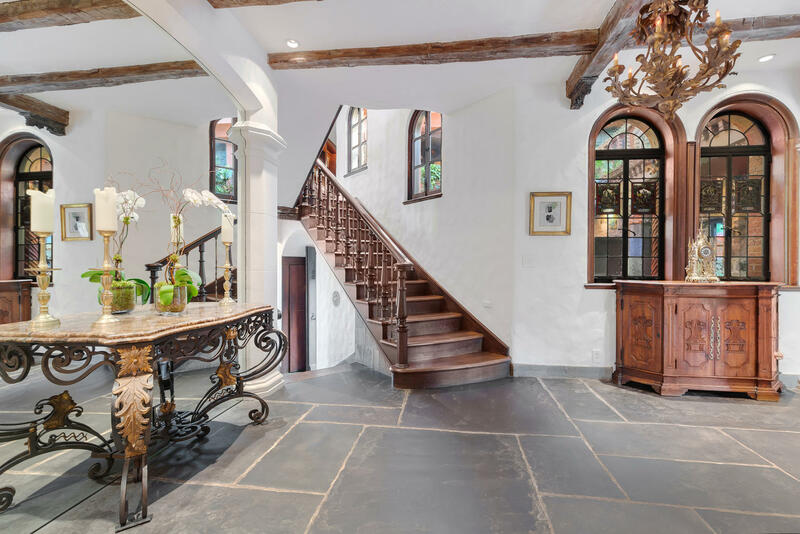 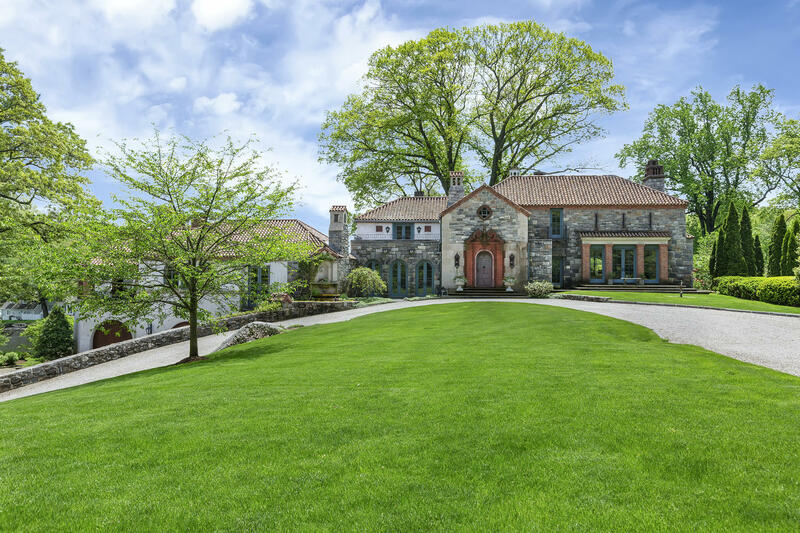 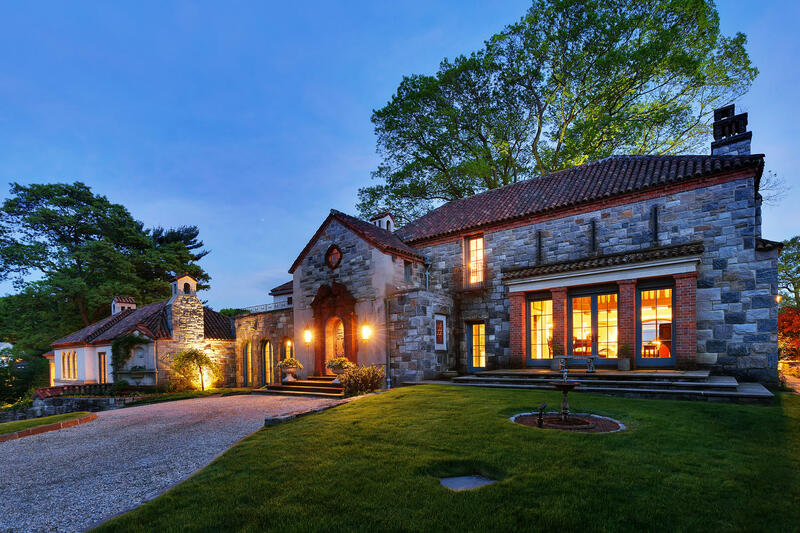 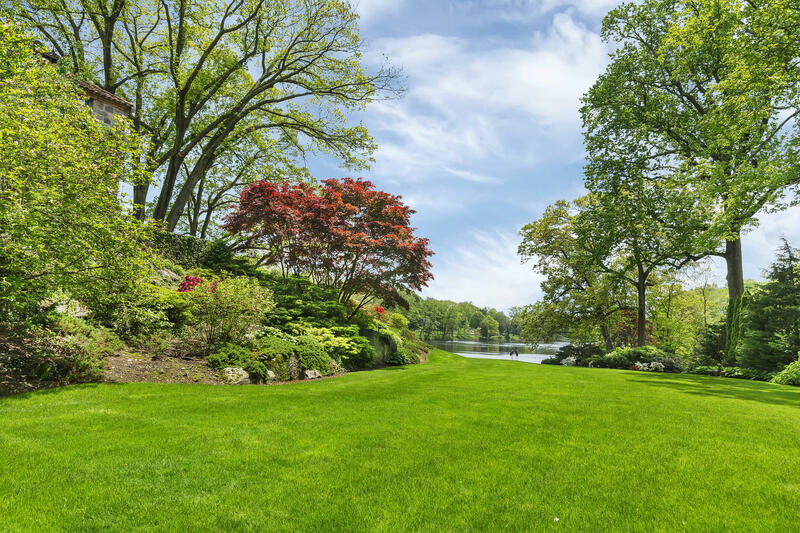 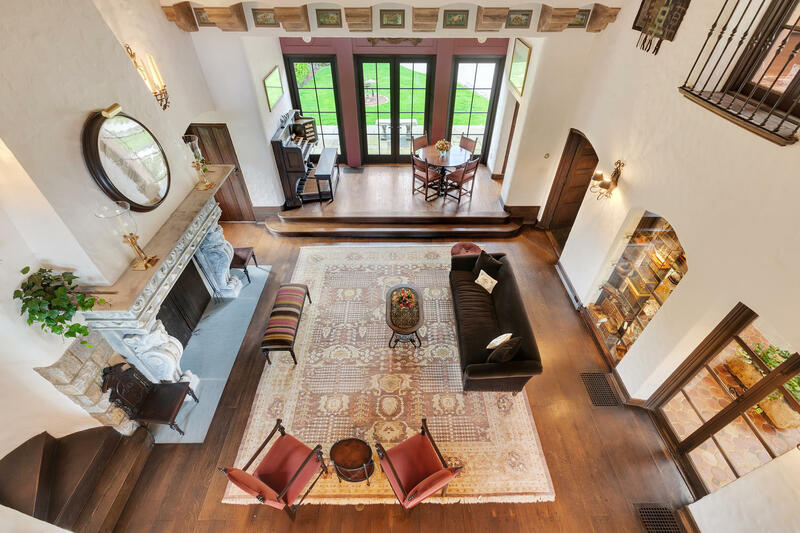 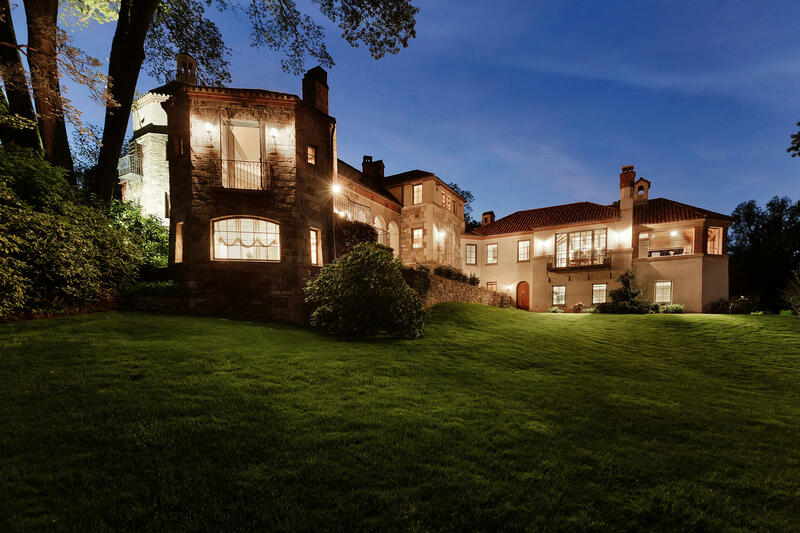 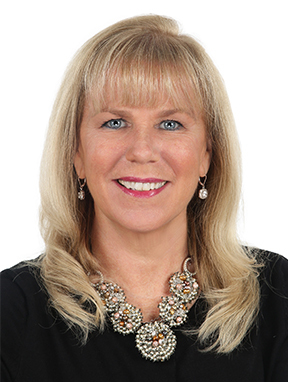 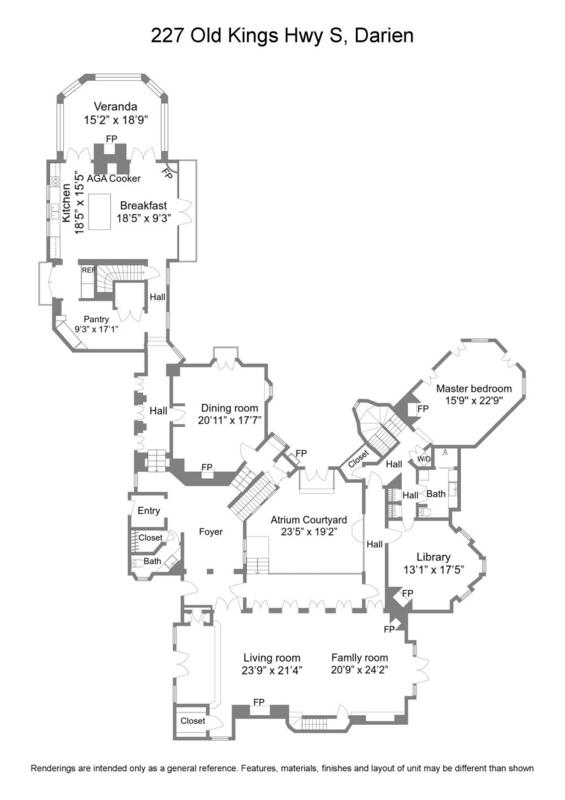 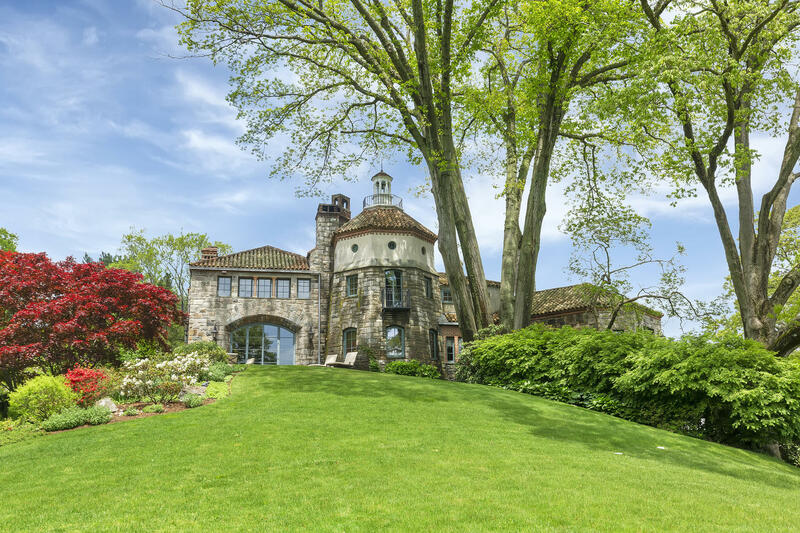 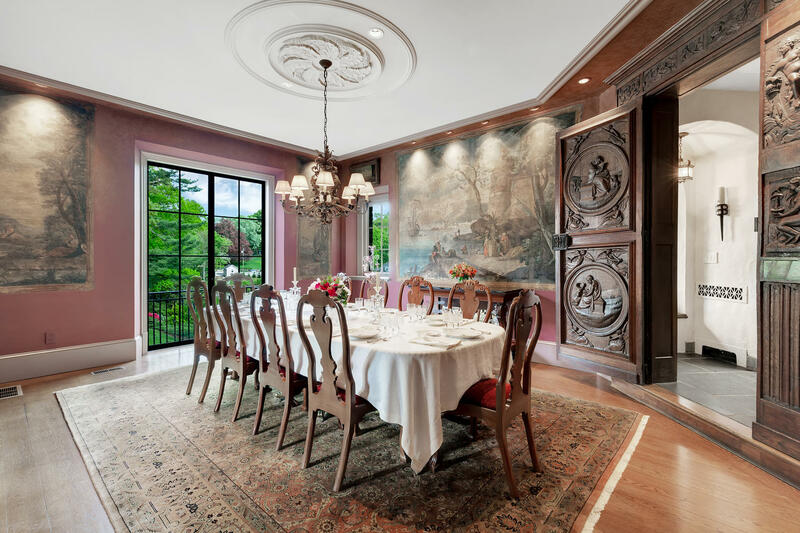 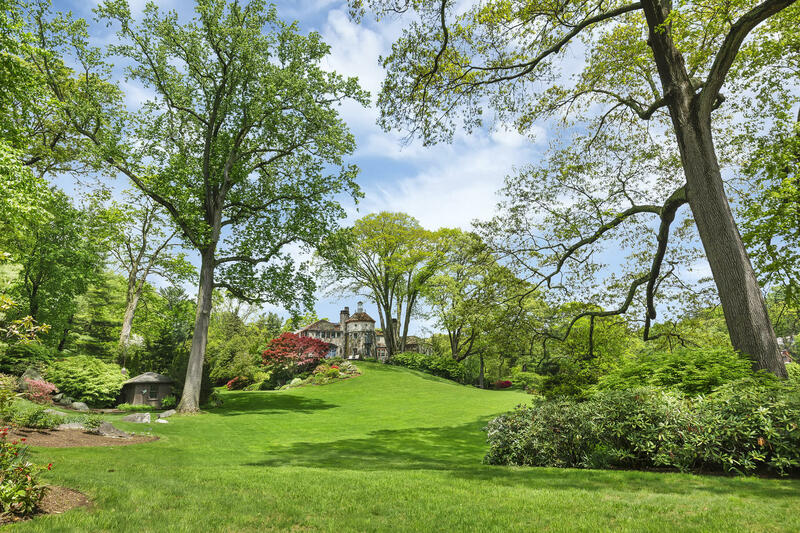 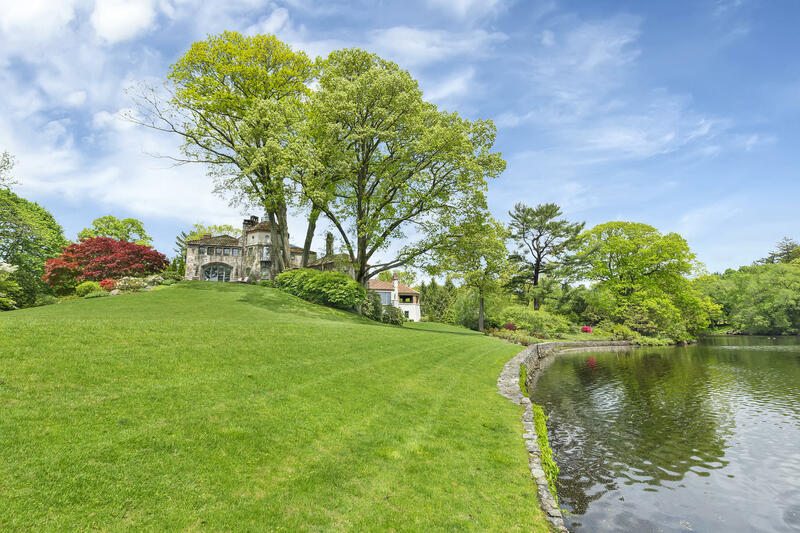 European elegance and old World craftsmanship created one of Darien's most sophisticated and treasured estates. 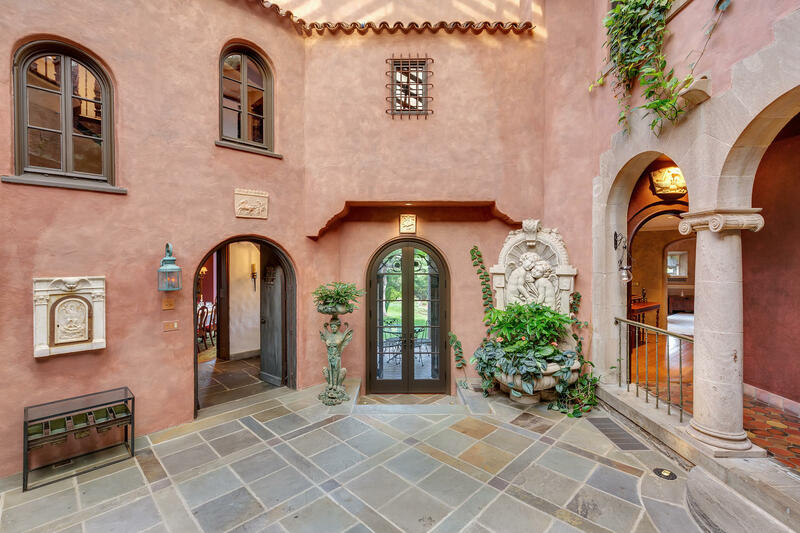 This stunning Mediterranean Villa, built by composer Frank LaForge in 1936, complete with the original pipe organ to set the tone for the surprises that await. 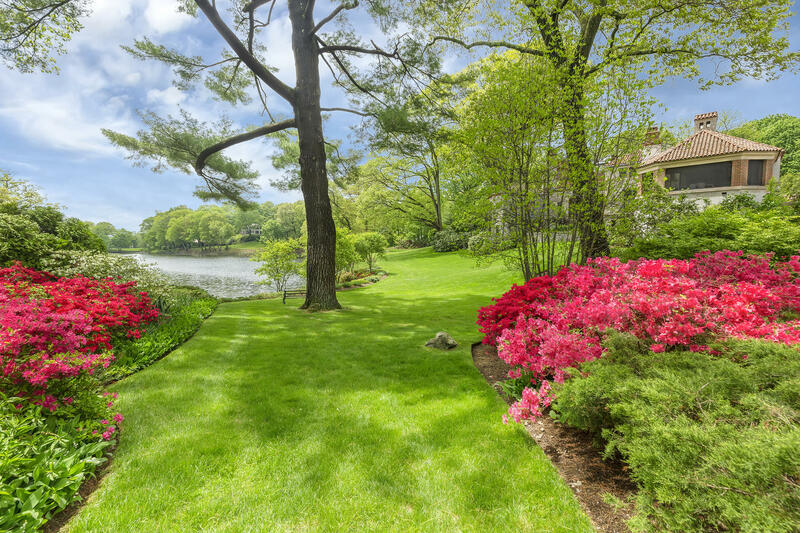 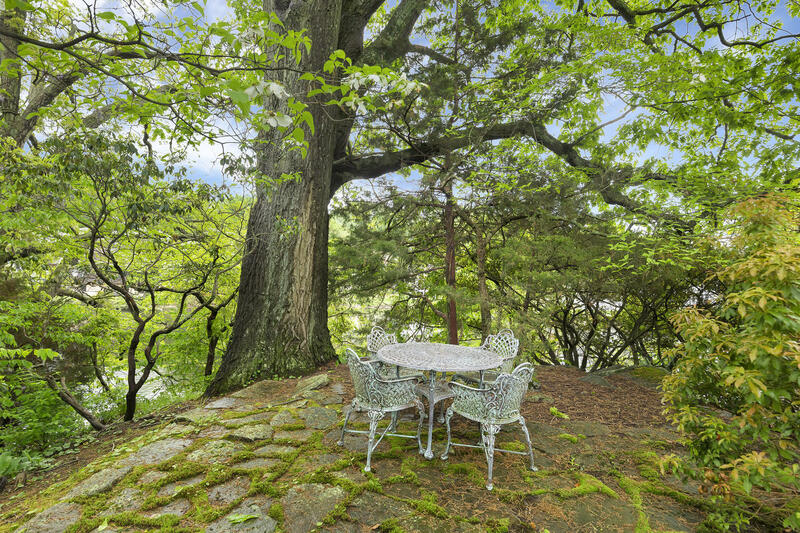 Set on a secluded 5 acre hillside on the shore of Gorham's Pond. 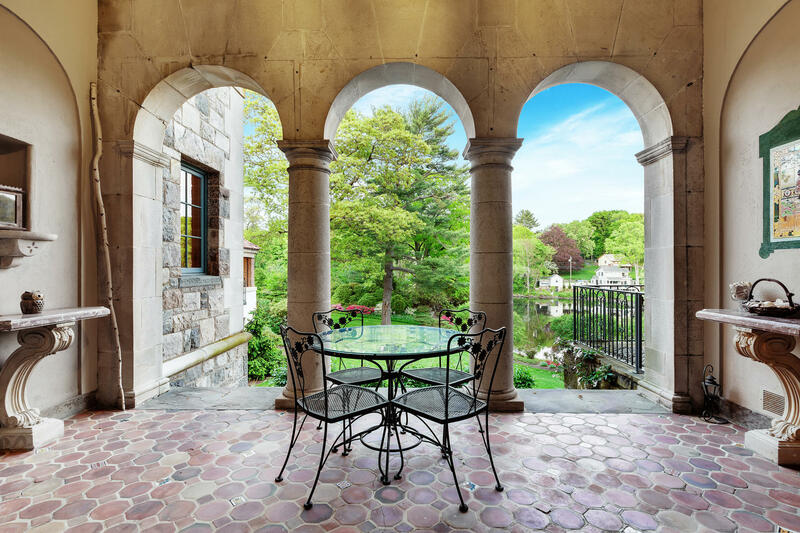 Masterfully landscaped and renovated to perfection over the years, seamlessly blending original details with modern elements for today's lifestyle. 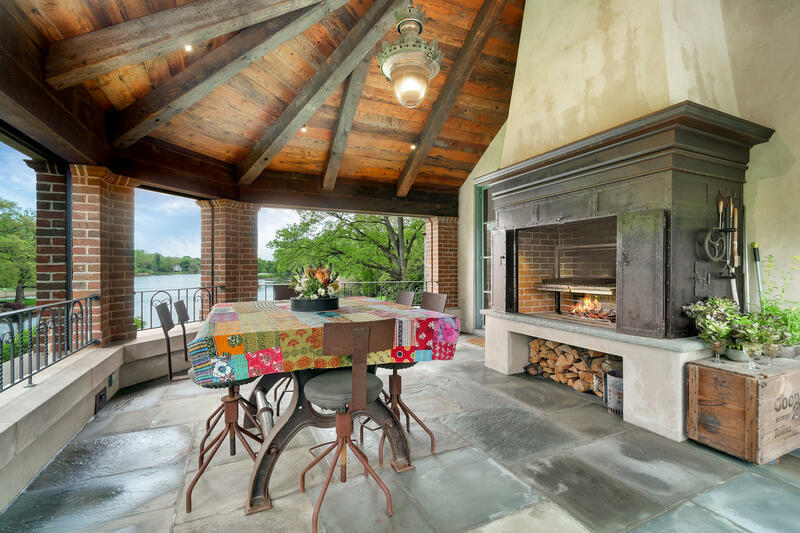 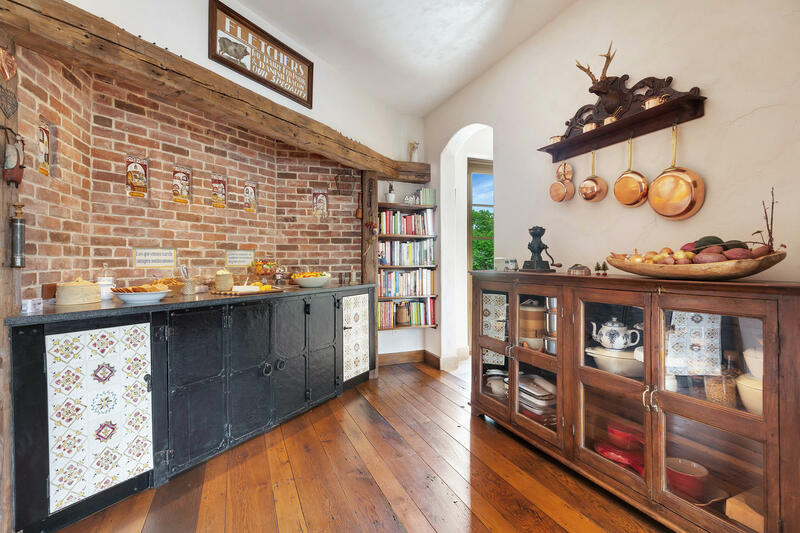 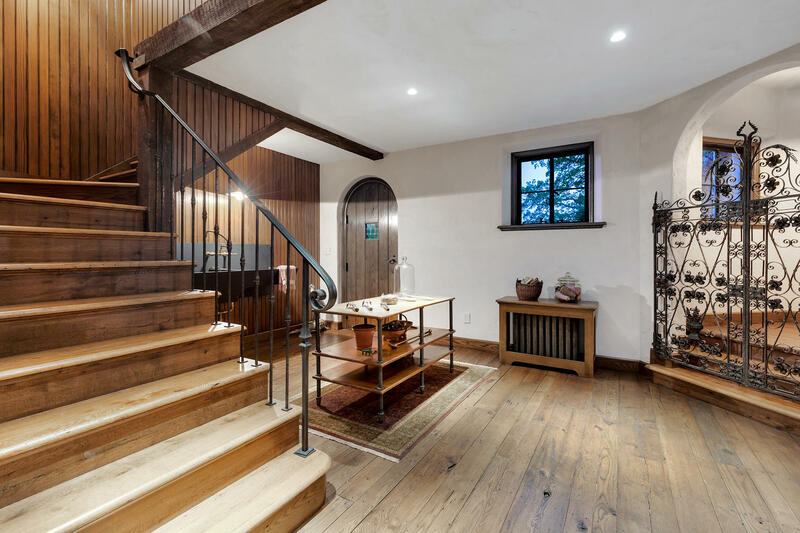 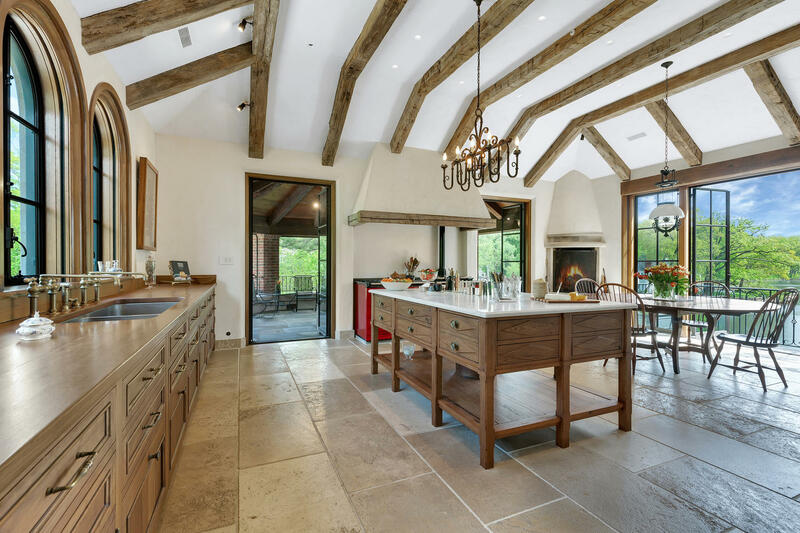 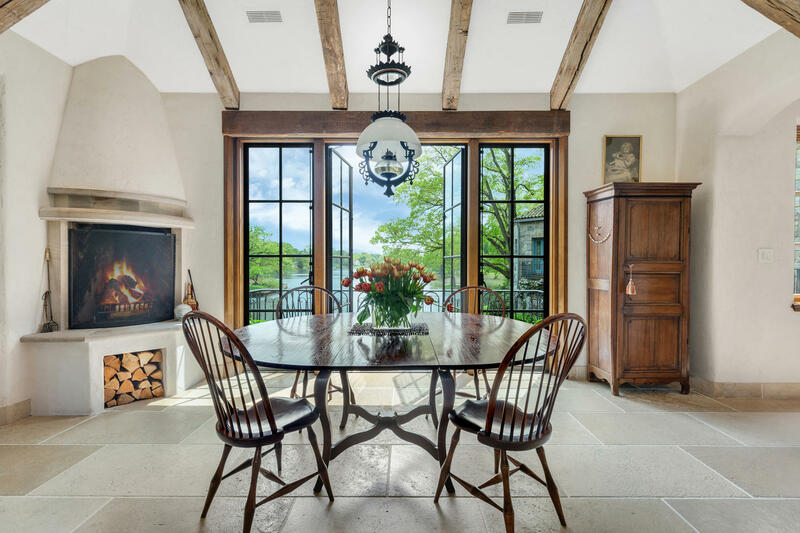 The recent kitchen wing addition contains the most modern appliances, a cozy fireplace, and vaulted ceiling with reclaimed beams, yet features an extraordinary AGA stove as its centerpiece. 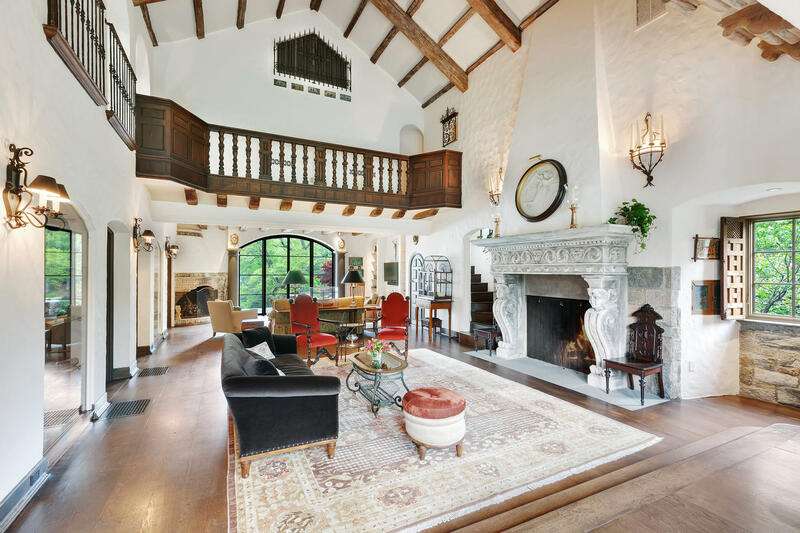 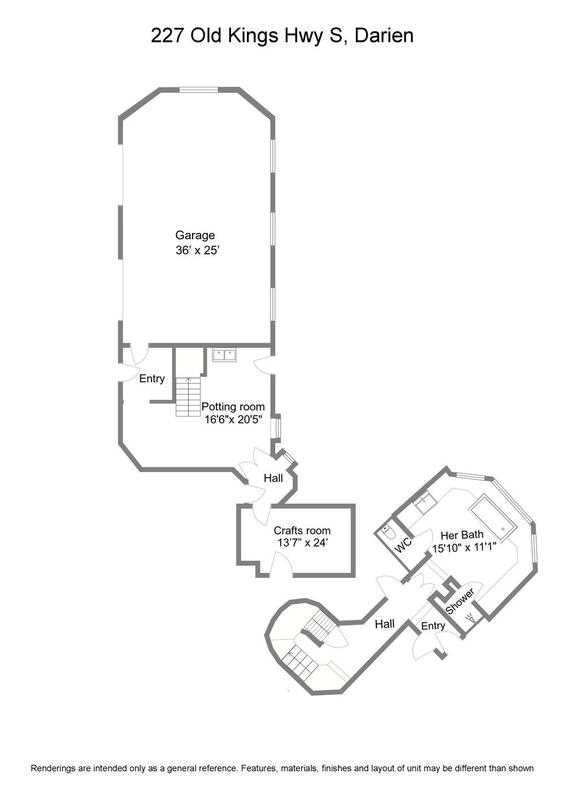 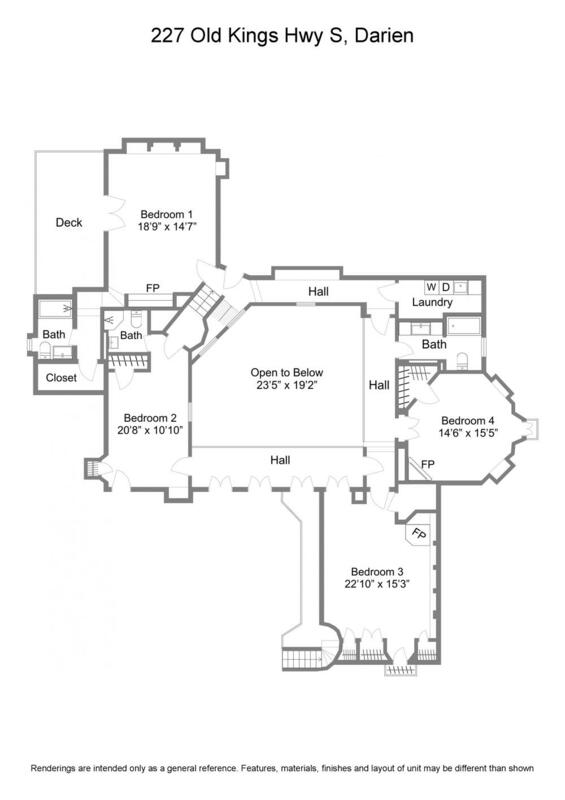 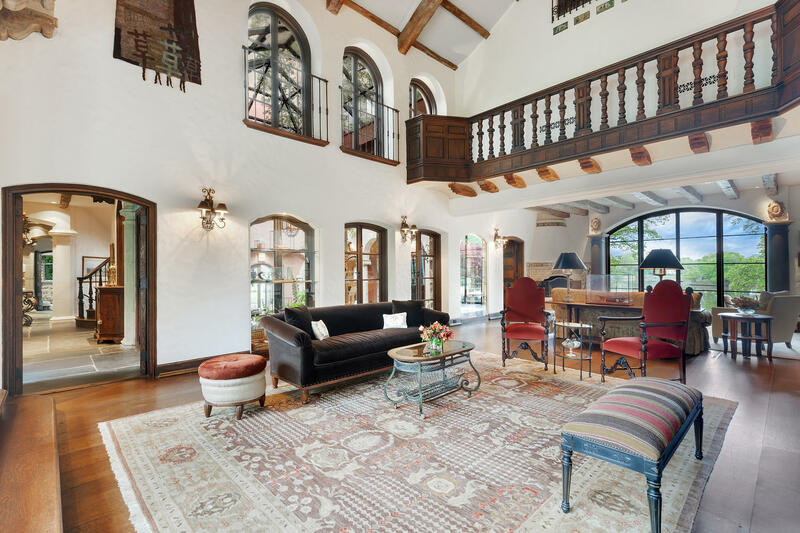 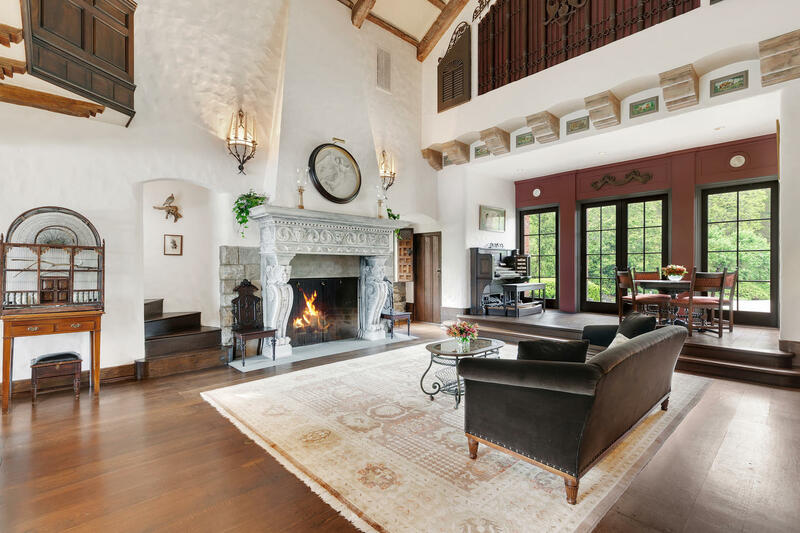 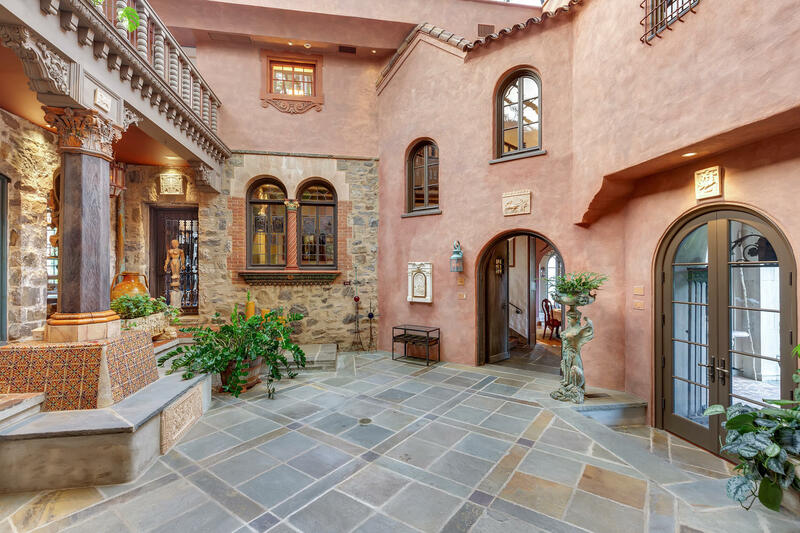 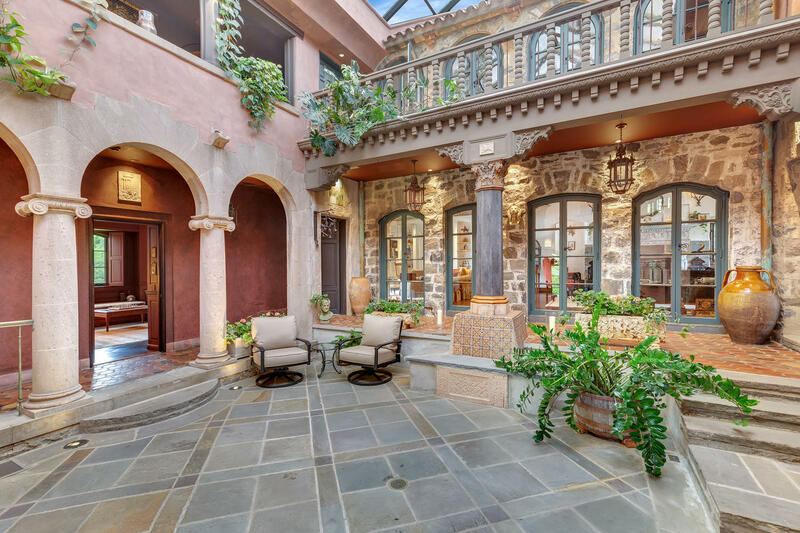 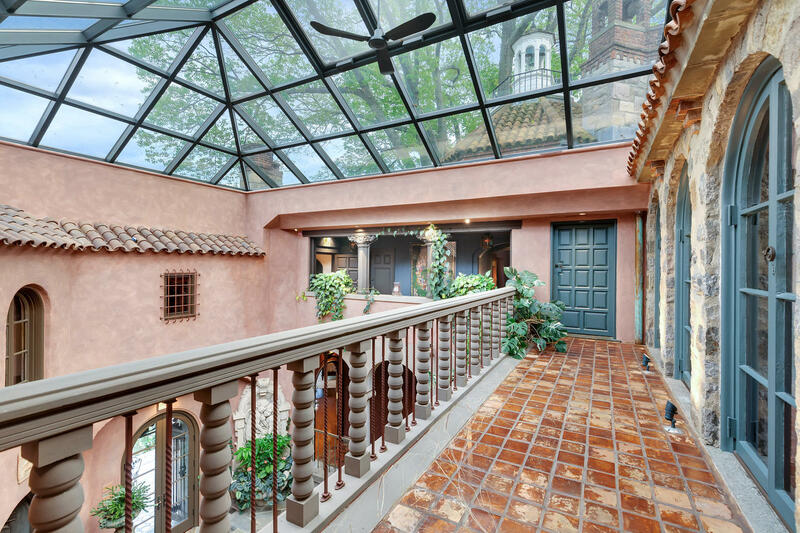 5 bedrooms, 51/2 baths, 11 fireplaces and a glass enclosed central courtyard atrium make this majestic home truly captivating.